The BBC has suspended Jeremy Clarkson, lead host of its popular Top Gear automobile show (available in the United States on BBC America), allegedly for a “fracas” with a producer of the show. 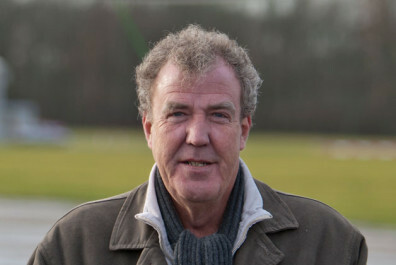 Executives at the government-run TV network have been after Clarkson’s hide for months (if not years), for his politically incorrect commentaries, recently threatening to fire him if he made “one more offensive remark, anywhere, at any time.” The show will not be broadcast this Sunday, and that will surely affect the U.S. broadcast as well. New movies based on writings of John Green, author of The Fault in Our Stars, are on the way. Indianapolis Star writer David Lundquist tells you all you need to know. What I found out is that the upcoming Paper Stars sounds interesting. Turner Classic Movies continues its Star of the Month treatment of Hollywood great Ann Sothern today, with a full night’s slate of movies from her “Maisie” series, starting at 8 p.m. EDT and rolling all the way to 11:30 tomorrow morning. Sothern was MGM’s perfect embodiment of the “spunky blonde” character so common to films of the time, and was gifted comedienne. The Maisie series is among Sothern’s best work, as her working-class character struggles to make her way during World War II and its immediate aftermath while staying true to her principles and helping less-responsible people get their lives in order. See as many of these Maisie movies as you can fit on your DVR; you’ll be glad you did. Once again, the public identifies Fox News as the most trusted network for TV news. If you can’t get enough of the English dog show killing, here’s a classic mystery movie set in the rarefied world of dog shows: The Kennel Murder Case. William Powell stars as Philo Vance, and his appealing version of the character certainly does not need a kick in the pance. How did I get through life without knowing of the existence of “It’s Old Movie Time?” Thanks for the link to the Powell movie. Always glad to be of service, Robert. The Internet is the embodiment of the Omniculture: everything happens, both very good and very bad.